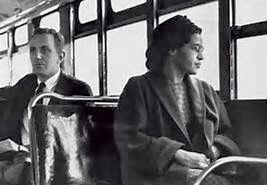 The Urban Politico: Rosa Parks Ended Racism? On December 1, 1955, Rosa Parks made history when she refused to give up her seat to a white passenger, on a Montgomery, Alabama bus. We all know this story and understand that Ms. 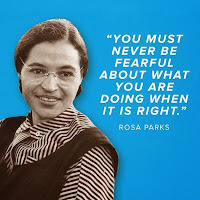 Parks' refusal to give up her seat, was her way of taking a stand against segreagation. Yesterday, marked the 58th Anniversary of Ms. Parks' monumental and historial act. According to the "Grand Old Party" (or at least the person in charge of their Twitter account), Rosa Parks' stand ended racism. 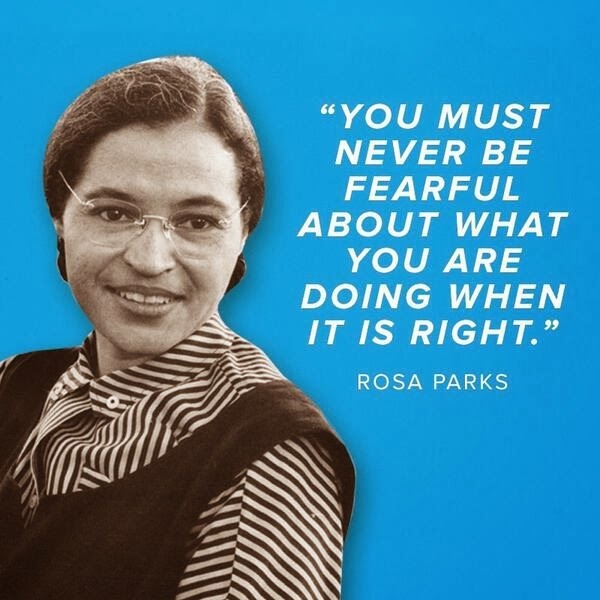 "Today we remember Rosa Parks’ bold stand and her role in ending racism." I'm still stuck on the "end racism," which indicates to me that the GOP believes that racism doesn't exists in America. 2. Is the corrected tweet an acceptable and true account of the event? 3. What the original tweet truly an error or what the GOP truly believes?